Thank you for taking the time to read this longer personal report. In my regular prayer letter I had a really good story that I wanted to share. As a consequence, all the personal stuff got bumped out. So here is the all family news and ministry info that didn’t make it into the regular letter. We took James back to Pensacola for his 4th semester at PCC. While were there we enjoyed time with family and friends. It is always an encouragement to see people who have been serving in their places for 20 years or more. God doesn’t call everyone to stay in the same place for such a long time, but it sure is refreshing to see those who continue to eagerly serve the Lord where they are. After the Florida trip, I was able to preach at Calvary Baptist Church in Sparta, Tennessee. Pastor Yockey is another one of those faithful servants of the Lord. We met about 20 years ago and he continues to faithfully serve the Lord. It was at Calvary that I preached a two-sermon series based on the same story that is in my latest prayer letter. Eli and Katie Guiltner: Missionaries to Japan. 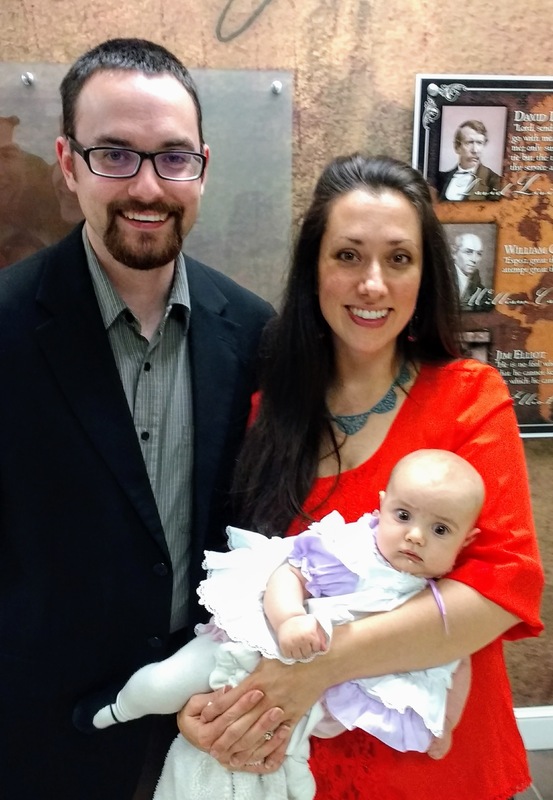 Eli and Katie Guiltner were new missionaries for the church, but not strangers to our family. I met Katie several years ago when she was just starting to raise her support to go to Japan. You should take the time to listen to an interview I did with her in 2009. Though she’s now married and has a baby girl, her energy for ministry and passion for the Lord has not changed since we did that interview. 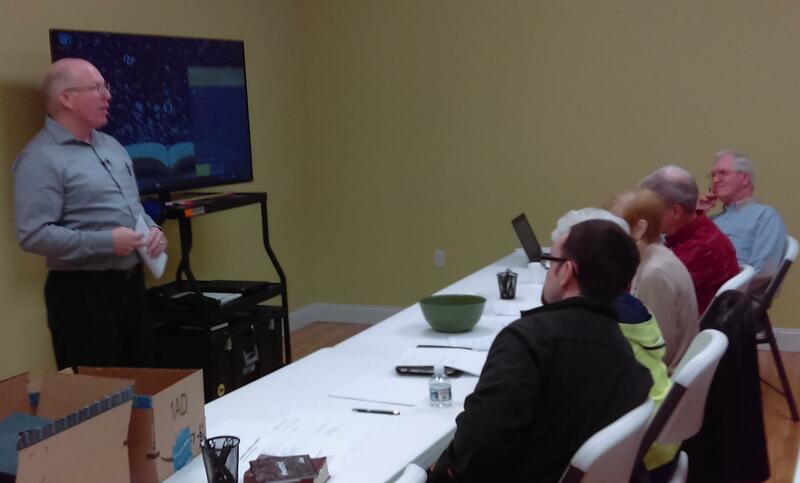 SMART training with missionaries and church members. At the Faith Baptist conference I taught a SMART class on basic computing. This is a ministry of our mission board to equip missionaries with the knowledge they need to be long-term servants of God. In the class I taught various things, but the biggest emphasis was on using a computer more efficiently and protecting the work they have already done so that the missionaries can be more productive. I proceeded to lay out for him what the Bible said about being in good standing with God. He encouraged me to continue talking, but did not indicate either way whether he agreed with me or not. It was an awkward end to the conversation with him just staring at me and not responding. After a long stare he mischievously, in his ever playful manner, changed the subject with still no indication of what he was thinking. I was very burdened and concerned for him, but while I consider him a friend, our relationship with one another has been a professional relationship. I had no appropriate way to see him outside of that relationship. When I heard my friend was back in the hospital (and it would be his last time), I drove an hour to visit him. I knew his wife was saved and that she would be at the hospital with him. I was pleased to talk with her and find out that she was confident in his salvation testimony. He was not in a lucid state when I visited, but his wife told me about when he was saved as a 12-year-old boy at a vacation Bible school class. I told her about the day I laid out the Gospel for him and that he would not respond either way. She assured me that he was playing with me and that he knew well what the Bible taught about salvation. I was relieved to get that information. Getting ready to harvest goodies from computer printers. 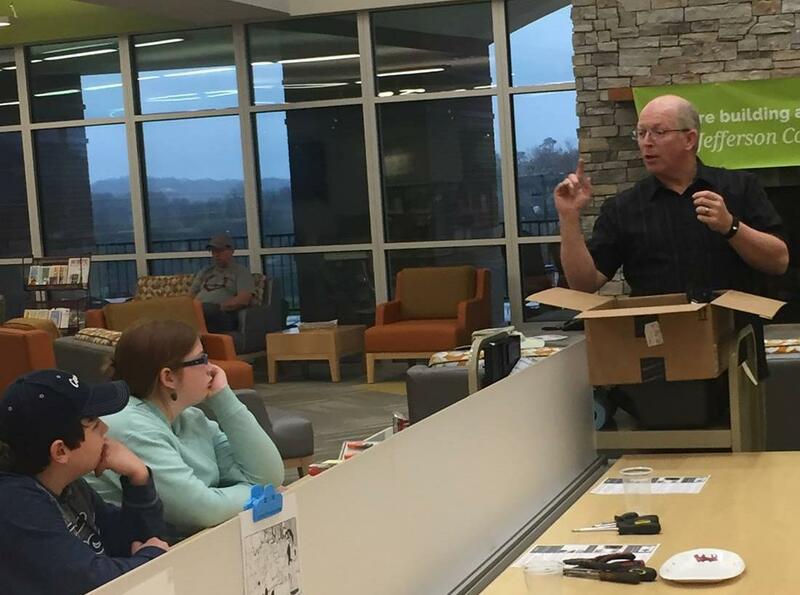 I had a good time earlier this month teaching a group of kids at our local library how to be hackers. No, not the kind you see on TV cracking into some secure network, but what I consider to be the real kind of hacker—a person who makes a piece of hardware or software do something that it was not originally intended to do. We tore printers apart and got motors and gears out of them for future robotics projects. I taught them a bit about what kinds of things can be harvested out of discarded technology so that it can be used and not sit rotting in a landfill. We did a class on basic electronic circuits and we made a couple of fun projects. Though many of the kids at the classes were kids I had invited from church, we were able to build friendships with other children in our community that we can possibly minister to in the future. Through previous community sign language classes that I taught at the library, we have seen a few visitors at church. This was my first time to specifically teach a community outreach class for children. I am excited to see how God might use it to bring others to Him. Bro. John Yingling (BIO President) and I will fly to California this weekend and spend a few days promoting missions and the board with the students at West Coast Baptist College. This is our first trip there and we are both excited about building this relationship with the school. I have several friends whose kids are at the school. I trust God will use this time to encourage the students to be involved in missions—whether it is through BIO or not. Thank you for taking the time to come and read this longer (and less formal) version of my prayer letter. I know the official letter was quite a bit different than normal, but I have been so impacted by the life of Bro. Hamrick that I continue to think about those stories his children told even three months after I heard them. Thank you for your prayers and continued involvement in our ministry. Two good reports. Miss you. You should drive to CA so we can visit. Keep up the blessed work!